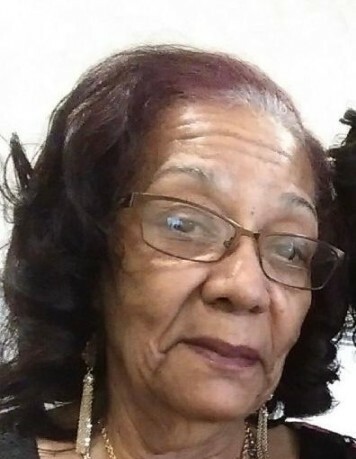 Ms. Gustha Coquillion Mondesir, 73, died Friday, March 9, 2018, in her Georgia home, surrounded by the love of her family and her faith in God. Visitation will take place in the Kowalski Funeral Home, 515 Roselle St., Linden, on Friday, March 23rd. from 6:00 – 9:00PM. On Saturday, March 24th. from 9:00 – 9:15AM, family and friends will gather directly at St. Elizabeth R.C. Church, Linden, where the funeral mass will be offered at 9:30AM, followed by the burial in the family plot in St. Gertrude Cemetery in Colonia. Ms. Mondesir, the daughter of Ludara and Ludovic Coquillion, was born in Cotes-de-Fer, Haiti. She lived in Elizabeth, New Jersey for thirty years before moving to Covington, Georgia, four years ago. Ms. Mondesir was employed by United Airlines, formerly Continental Airlines, as a food caterer for nineteen years, until her retirement in 2008. Ms. Mondesir is survived by her five daughters, Mildred Mondesir and her partner, John Simmons, Myrtle Mondesir and her husband, Frantzy Daux, Sylvia Mondesir and her husband, Robert Johnson, Magalie McDonald and Myriam McDonald; her three sons, Edwin McDonald, Lucien McDonald and A.J. Joseph; her eighteen grandchildren and her four great grandchildren.